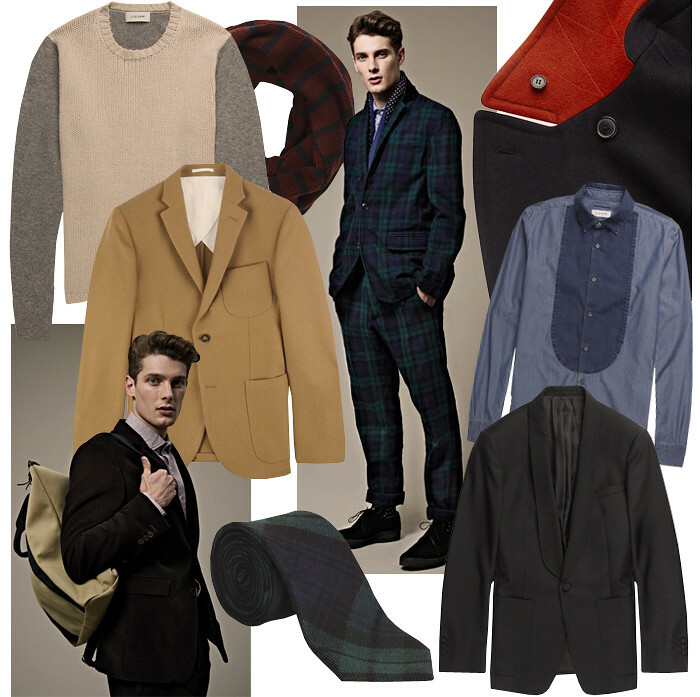 Hopsack Dinner Jacket, Tartan Tie, Tote Backpack, Shetland Wool Blazer. 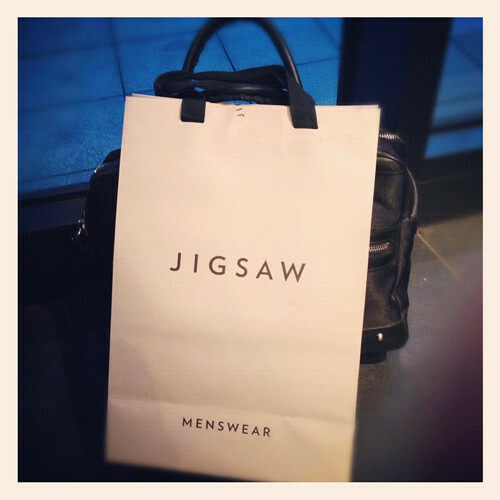 Last Friday I was invited to pay a visit to the world of Jigsaw menswear at the brand's Spitalfields store. I would be lying if I said I knew a lot about the history of the brand but I sure was more than familiar with their menswear collections from my seasonal window shopping online. Jigsaw, which was founded in 1972, is still privately owned by the founding family. 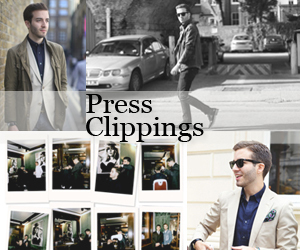 From only one shop in Hampstead, the brand now has over 40 stores in the UK and 6 in the States. The reason why the brand works so well is very obvious. Everything about the brand is 100% British and, in fact, most of the pieces you will find at the store are also manufactured in the UK. The designs are simple and timeless but often quirky, referencing country life and full of subtle details that make every piece special. The subtle play on materials, the beautiful textures and the hidden details like a pop of colour under a collar or a polka dot pocket lining that doubles as a pocket square give everything a character of its own. And all of this at a very affordable price – everything in the collection is under £500. The shop environment follows the same relaxed and effortlessly stylish line of the clothes. The staff is absolutely lovely, helpful and very knowledgable about the products they sell. Take it from someone who would rather shop for everything online, Jigsaw is to be experienced.